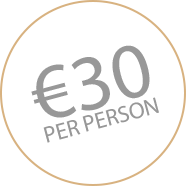 Waterford’s Premier Late-Night Bar, Venue and Nightclub makes an ideal location for Hen Party Celebrations. With a range of areas to choose from and a wide variety of dining options, our bespoke packages can be tailored to your individual groups needs. Just contact us with any weird and wonderful ideas you may have and we will do our best to fulfil your hen party dreams!